Marketers that focus on their martech stack first, instead of designing backwards with their customers and staff in mind, are going to run into serious organisational and cultural challenges. That’s the view of Marriott International’s chief sales and marketing officer for Asia-Pacific, Peggy Fang Roe, who caught up with CMO during a recent visit to Sydney. Acknowledging most marketing leaders are being confronted with the need to better utilise technology to improve the way their brand engages with customers, Fang Roe is quick to advise marketers to consider “the end in mind first”. “As a CMO, you have this tech stack you have to define and based on what you want to do, there are a plethora of technologies available. But a lot of people make the mistake of going the other way, and saying I’m going to build my stack, then figure out what to do with it,” she says. “You run into so many org problems that way. Fang Roe has a wealth of experience in brand management, technology and operational process. She started in a management development program with GE Capital, and secured an MBA at Harvard, before leaping into Silicon Valley at the height of the tech boom. From working at Amazon as part of a summer internship, she joined startup, Homestead, as director of product marketing. After the tech bust, she went back to GE and mastered Six Sigma, then switched to events and hospitality with Marriott. 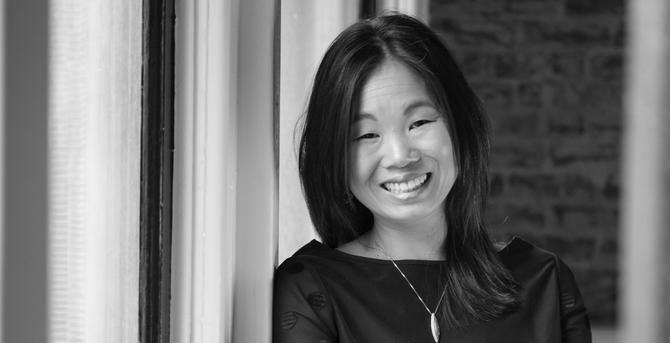 Over the past 14 years, Fang Roe has held a variety of roles, from marketing planning to brand management and global operations, where she was heavily involved in innovation work. Nearly four years ago, she became chief sales and marketing officer for Asia-Pacific, one of four regional positions created to reflect a new globalised corporate structure. It’s a role covering the total front-end of the business and all 4Ps of marketing. “The role of the marketing piece has shifted and it’s becoming more end-to-end, from the product to how you communicate and sell it, to the experience itself,” Fang Roe claims. “Over the last five years, there has been this tremendous push to bring marketing and operations together. My counterpart is our operations guy - we find we have to work hand-in-hand on almost everything and loyalty, customer experience and data are at the centre of that. What’s also become obvious is the customer experiences Marriott is designing require seamless use of technology, Fang Roe says. She reports to the president of Asia, as well as Marriott’s global chief commercial officer, who also oversees IT. As an example, Fang Roe notes Marriott’s new mobile app functionality allow guests to interact with the hotel group purely via mobile, from asking questions to front desk check-in. From a meetings and events perspective, Marriott has enabled mobile functionality to allow meeting planners to interface with staff via devices, as well as use its site, ‘Meetings Imagined’, for ideas and inspiration. “Meetings as an industry is very commoditised – it’s rates, dates and space. We wanted to be a different player and one of the pain points planners have is trying to one up their last event,” Fang Roe explains. “When we asked those customers what’s one more person and skillset they’d add to their teams tomorrow if they could, they said creative. So we created this website, open to anyone, with ideas and inspiration. Another initiative being tested in 40 hotels is providing Mandarin language services to the growing number of Chinese outbound travellers staying in Marriott hotels internationally. To do this, the group is leveraging Wei Chat. Collecting data is one thing, but Fang Roe agrees it’s getting insights into the hands of staff that generates better experiences. Traditionally, Marriott’s strategy team identified insights from data, managed the campaigns and product design. But increasingly, the hotel group is trying to figure out how to enable hotels to uncover their own insights so they can deliver a more customised, localised experience. Voice of customer doesn’t stop there. Marriott has its own global social media listening tool, called M Live, to listen to what people are talking about in relation to Marriott brands, as well as broader trends. Fang Roe says insights are being used in two ways. One is to provide personalised engagement. The other way M Live is used is in combination with geofencing technology from Hyper. “We had one guest who went with three friends to the St Regis in Singapore for a vacation, who posted a picture of the pool... The St Regis picked it up, figured out the title of the group post – the group was called ‘guys who travel’ – found out their four names, and then customised towels and left them in their room,” Fang Roe says. Through all of this, the customer loyalty program continues to play an important role in keeping members engaged. At present, the group is working to bring its Starwood and Marriott programs together. “We have allowed people to ink their accounts so you have matching status, but beyond that, there is the tactical harmonisation of the program,” Fang Roe says. “But we’re also rethinking loyalty as being less transactional and more of a real relationship. Today, our loyalty programs are about earning and redeeming points. We want to make it more emotional and build more of a connection. For Fang Roe, keeping a customer loyalty program fresh today means offering more than a program. “Loyalty now means you’re in our inner circle, have access to our apps, or we’re tracking things in a more one-on-one manner with you... to interact with you in a more seamless and personal way,” she says. To support increasingly data-and technology-driven efforts, Fang Roe has introduced more data analysis skills into the marketing function. Prior to becoming chief sales and marketing officer, the focus was almost all on analysing pricing. To this, she’s added customer and digital analytics. What’s also become apparent to Fang Roe is that traditional discipline-based lines, such as sales, revenue, brand and communications, are blurring in favour of collaborative project teams. “Everyone’s project, no matter where it starts, ends up touching everyone else as it’s an integrated strategy,” she says, adding marketing also has its own technology liaison employee. “We have to think deep about expertise, then broadly when it comes to managing projects. When it comes to her top three skills for the modern marketing leader, Fang Roe nominates holistic understanding of the business as number one. Second is grounding in technology. “My time in Silicon Valley has been so valuable 14 years later because I understand the inner workings of sitting with developers, building websites,” Fang Roe says. “Because I have that logic behind me, I understand half of the work we need to do to deliver on the digital side.